Gunaratana, Venerable Henepola. 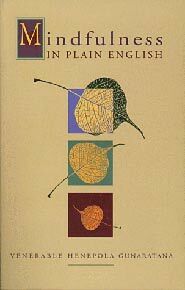 Mindfulness in Plain English (Boston: Wisdom Publications, 1991). A simple guide to Insight Meditation whose conversational style complements the depth of wisdom of Venerable Gunaratana’s teachings.